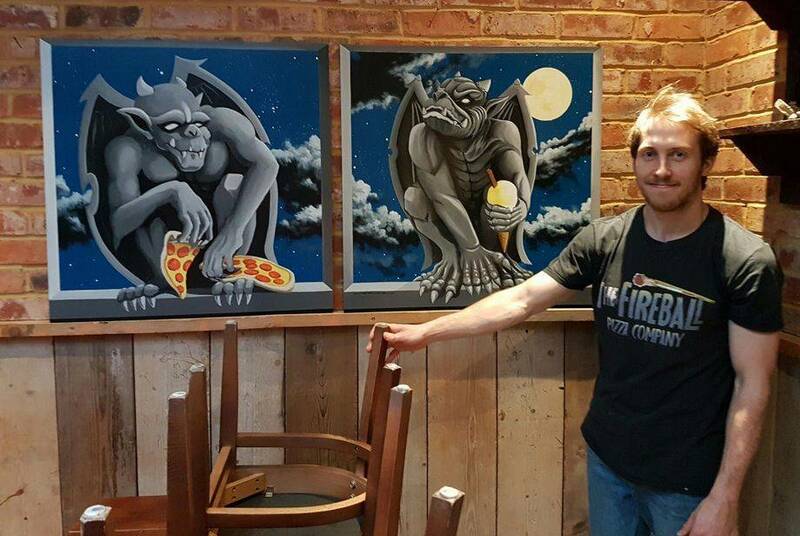 These fun gargoyles were painted on boards so that they could be easily mounted at Fireball Pizza in Bromley. The owners of the restaurant love Halloween, so wanted something a little quirky to hang in the restaurant all year round. Both paintings took us three days to complete.